That is such a unique display. I love it!! There's so much history there. I wonder how many more signs are in storage or various stages of restoration for inclusion at this museum. 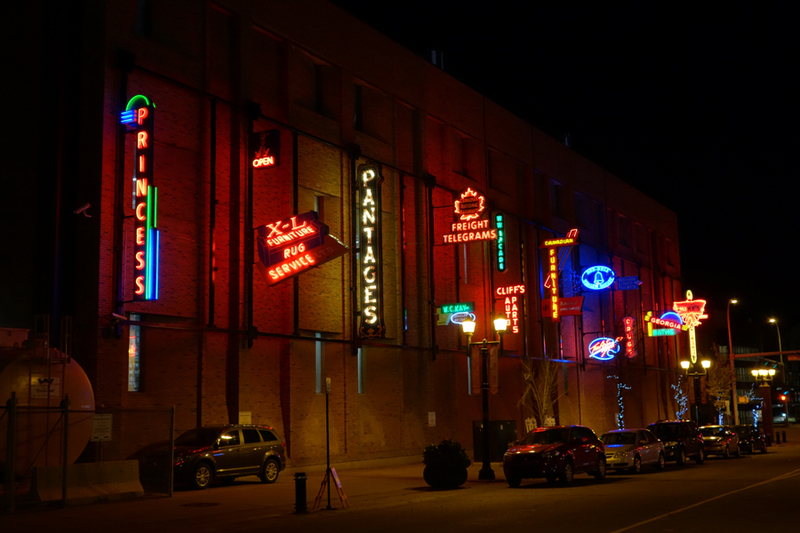 Edmonton's outdoor Neon Sign Museum is expanding. 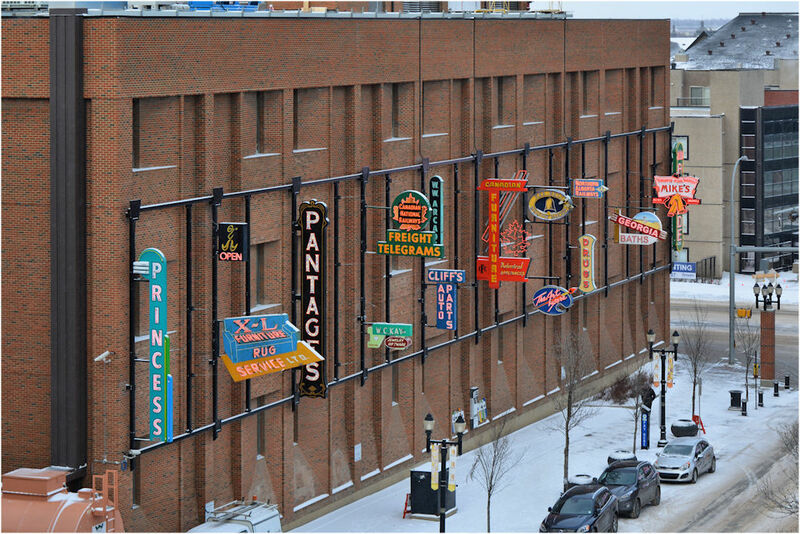 We are excited to announce that approximately 6 to 7 restored neon signs will be installed and lit up and that a portion of the museum will expand onto the Mercer Building immediately across the road. The Alberta Sign Association through its members has generously restored the signs and will be installing them in the next week or two. As many of you have been involved or have some association with the signs, their restoration or have a general interest in the museum, we would like to invite you to come and watch them being officially turned on. A sign will also be installed on the day, so one can see how they are attached and lit up. 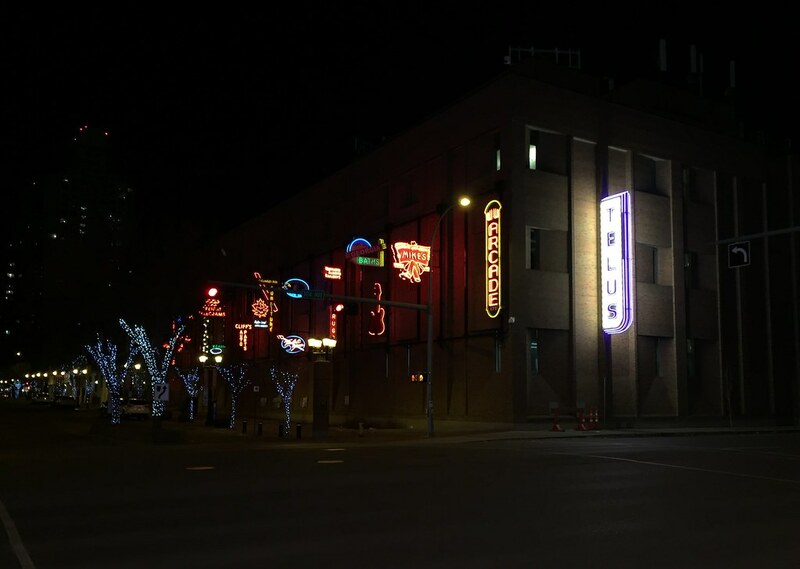 The event will be informal with some words from City Council, the Alberta Sign Association and a few others prior to the signs being switched on. 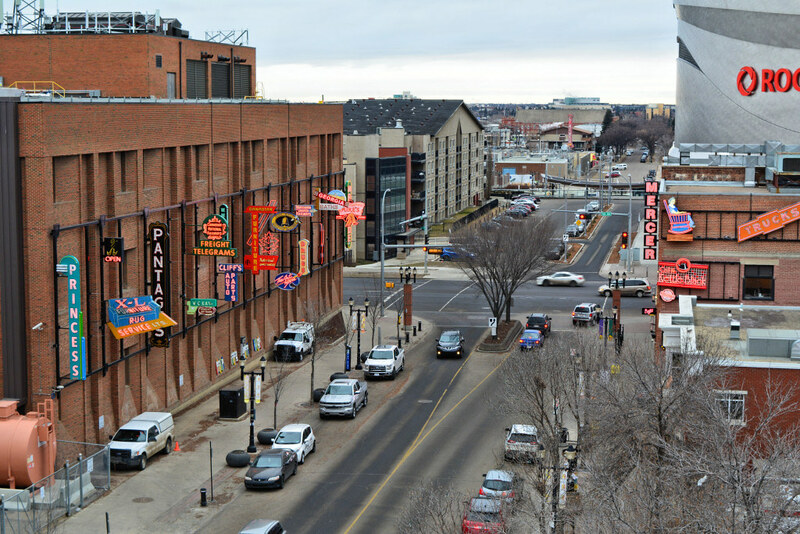 As always, many thanks to the Alberta Sign Association, TELUS, the Downtown Business Association and the Works International Visual Arts Society for all their ongoing support in helping to get this unique museum off the ground and it ongoing expansion. Neon museum additions and speeches. If you get a chance, thank one of the many companies that were involved. 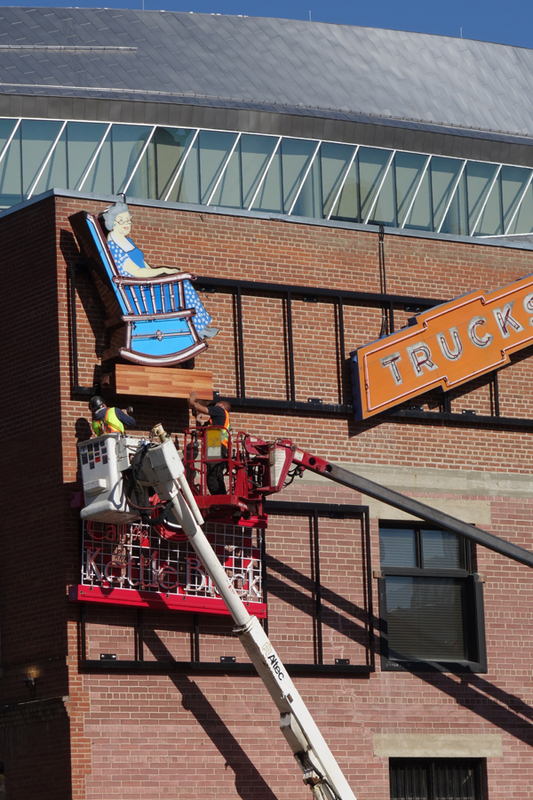 Canada’s first outdoor Neon Sign Museum is set to expand again—7 restored signs have been added at 104 Street and 104 Avenue, with a couple even spilling across the street to the Mercer Building. So what are his favourites among the new additions? And I was wrong. Mike's leg is still kicking! New sign up today! The chair rocks. CBC was onsite with a family, sounded like a hand made furniture store? Thanks for the excellent night pics Jskye . Love it. One of my favourite things downtown. 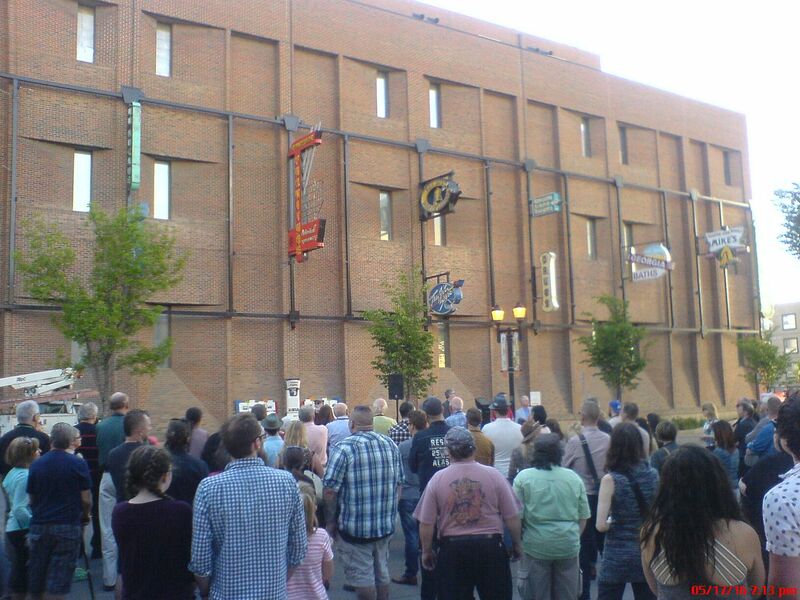 I wonder if there is consideration of the guitar sign on the former mother's music building on 190st only a few blocks away? When I travel, I try to find the "off the wall" type stuff. The things that are distinctly unique to any particular place. This is one of those things. 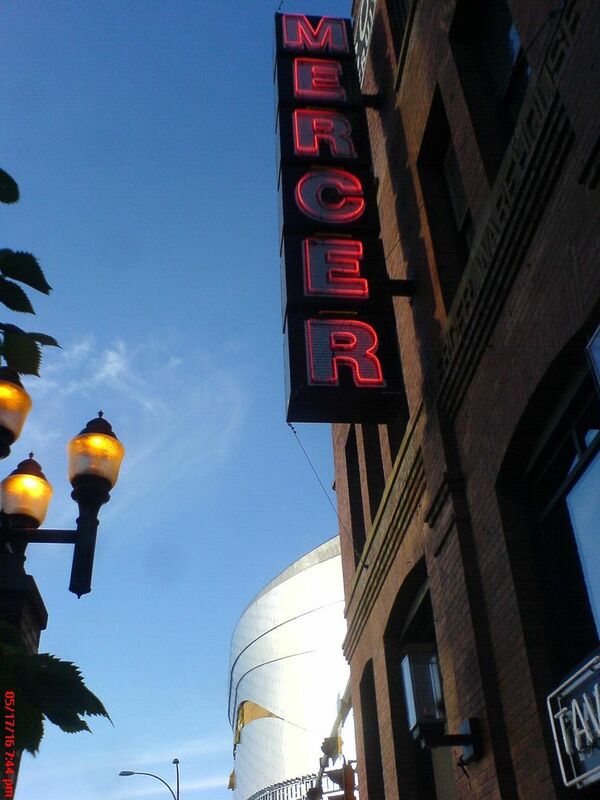 It may seem trivial in passing, but it's a fantastic addition to our downtown. 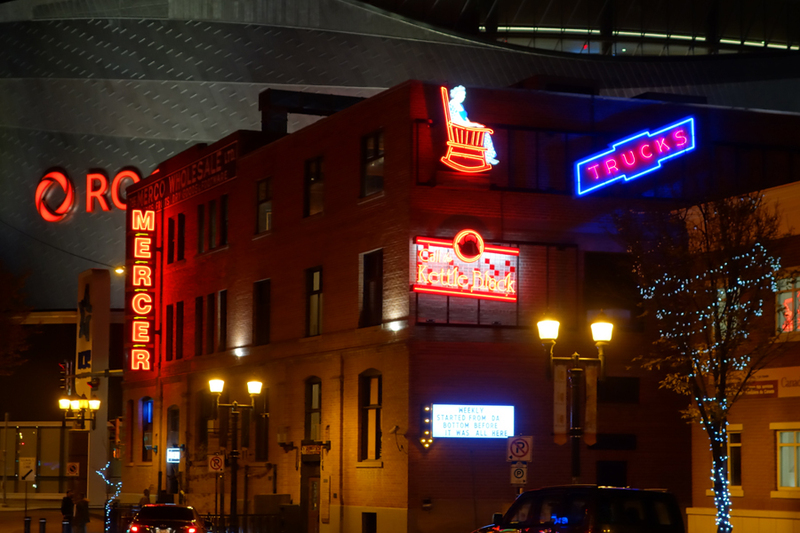 Edmonton doesn't have a ton of unique things, cocktails and good food are not unique to here, but the neon museum really is something cool. As a standalone is it enough to bring people here? Doubt it, but bolted together with the good food and drinks kind of stuff it might persuade a few. 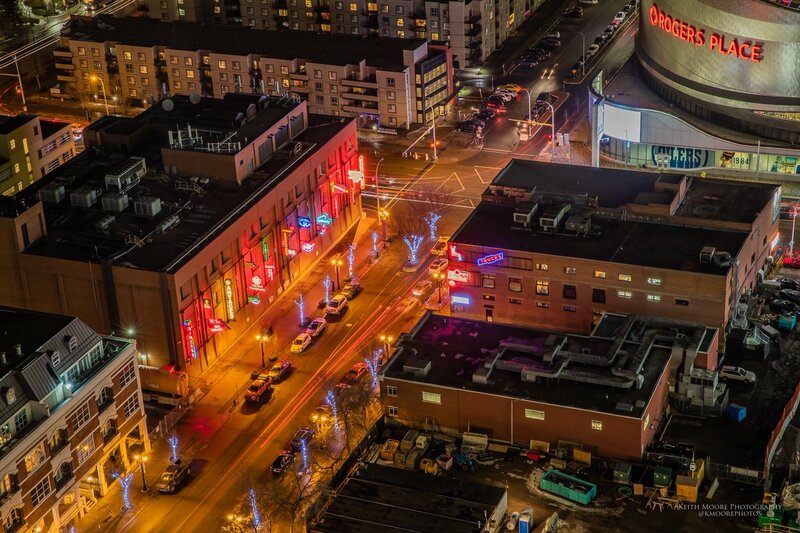 Have they run out of room on the TELUS building and are now using the Mercer? Or are they just spreading out the positioning? Seems to be lots of room. Mercer had a blank wall so offering that up to expand the project is wonderful. It's too bad the next building on the west side is residential. Would love for it to continue down the street. Depends on the sign. 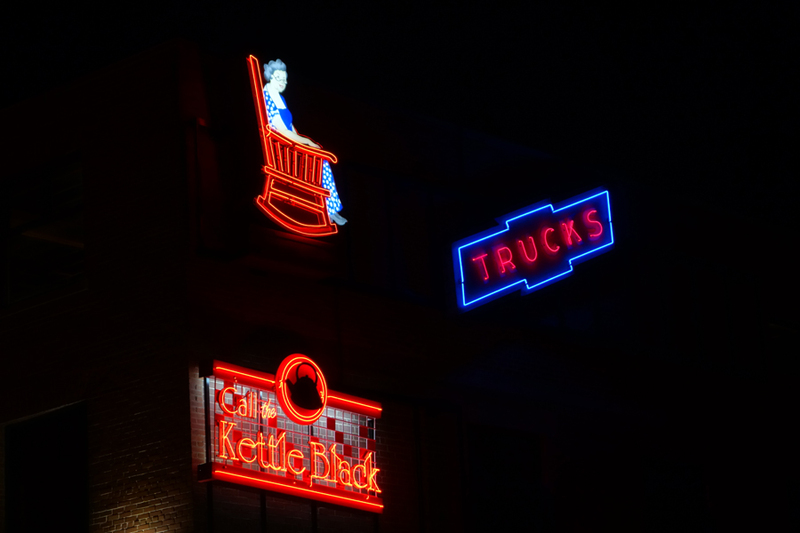 Some have neon on both sides, others are just on one face and meant to be on a wall such as the chair and CtKB sign. Last edited by etownboarder; 05-10-2016 at 04:12 PM. 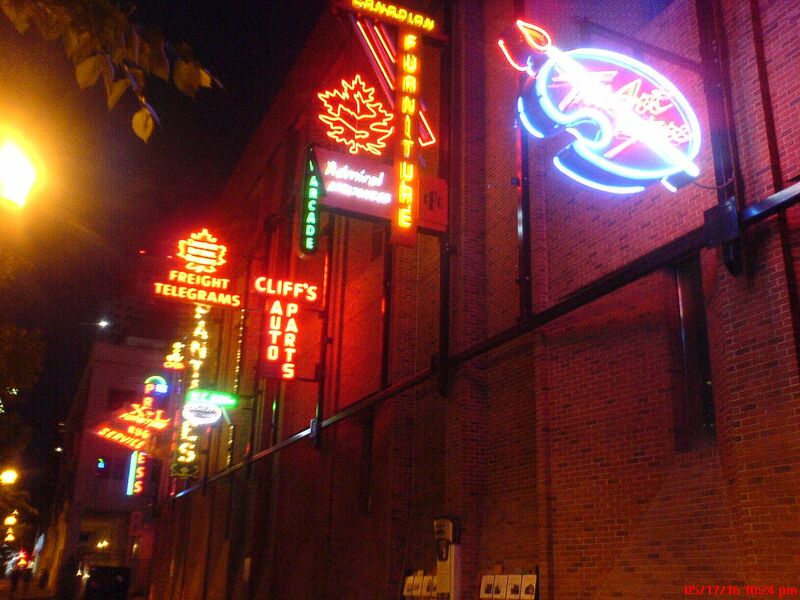 There are so many signs we could add to the Neon Sign Museum. That big Shell sign and the Strand sign would be great additions to the museum. Also need the CJCA tiger. I'd love to see the old natural gas and Gainers signs, if they're still around. 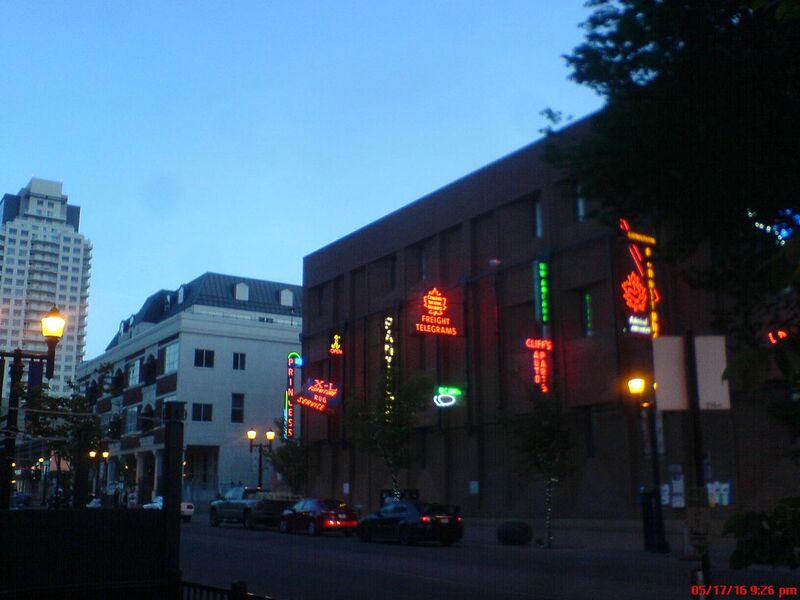 Does anybody remember the pool hall sign next to the Edmonton Journal building? The Burger Baron sign is still standing on FT Road. I have a small A&W sign from the Beverly store before it was demoed. It hung inside the restaurant. Holy crap that fine grade urbanism looks good. 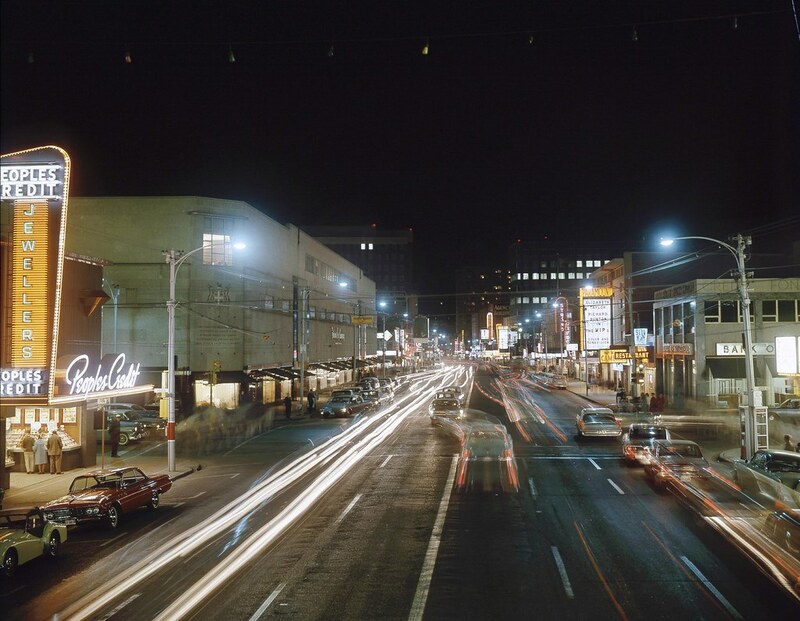 Thanks for posting those old pics of Jasper Ave. Looks like the only sign that survived is the Paramount Theater. Possibly the Silk Hat sign??? 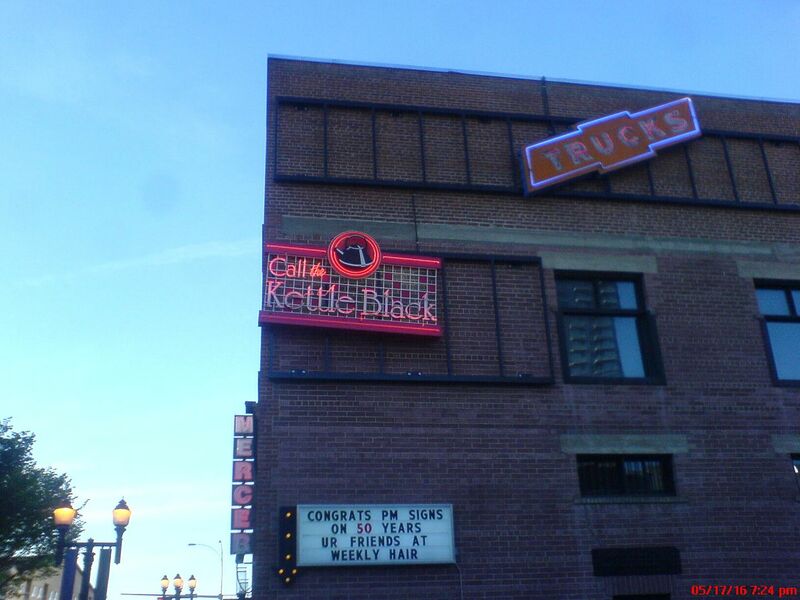 Yeah, the REC Billiards sign was a classic. 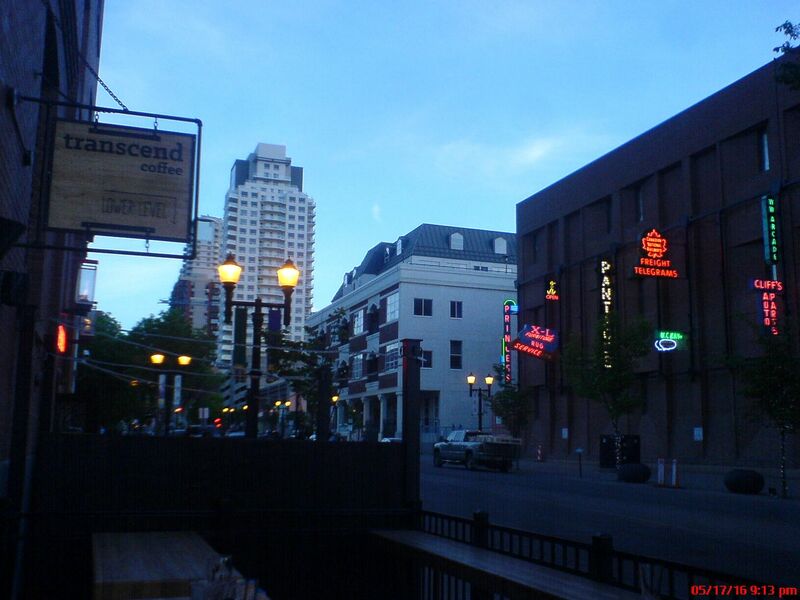 Top_Dawg remembers going to Alberta College for his music lessons one night a week and always seeing it across the street. There's a small but probably cool looking Real Estate sign on 149 St and Stony that would likely look good on the building. From above on December 5, 2016 (in daylight ). Plus the head of the Downtown Business Association said in another thread that more signs are coming! It certainly has been successful and well received. More to come. ^ Ian, any idea how many new signs they have ready to put up? A few new additions, but no, not along those lines. Some beauties though. 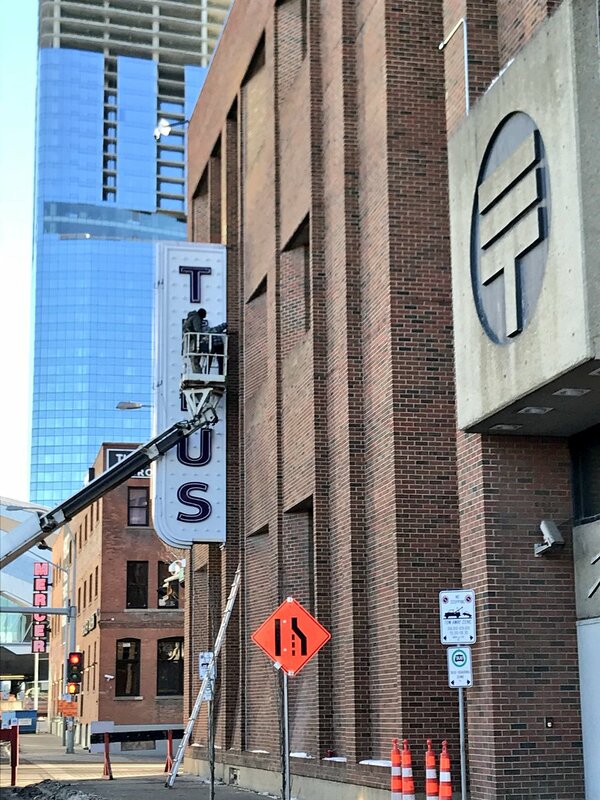 Looks like Edmonton Main is getting a new sign. IT better fit with the styling of the other historical signs when lit or I will be very disappointed. It looks like they've tried to. Guessing it's LED but stylized like a neon sign. AH much better. It was impossible to tell from the first pic. If Telus was really cool, they'd get signs made honoring Ed Tel and AGT as well. Maybe more to the west to ‘catch more eyes’ for the area but positioned so they don’t get confused with ‘museum pieces’. Last edited by KC; 30-11-2017 at 12:09 PM. 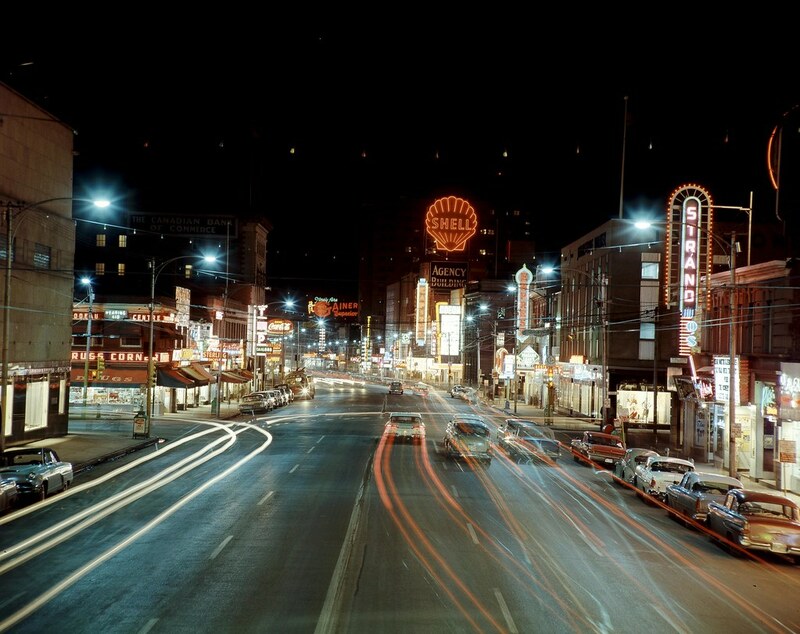 So is there a list or photo archive of Edmonton’s lost neon signage? I have an A&W sign pending for donation. Still waiting to see if they want it for restoration. If it's the one from the old 109 Street location just north of Jasper - make them take it!! 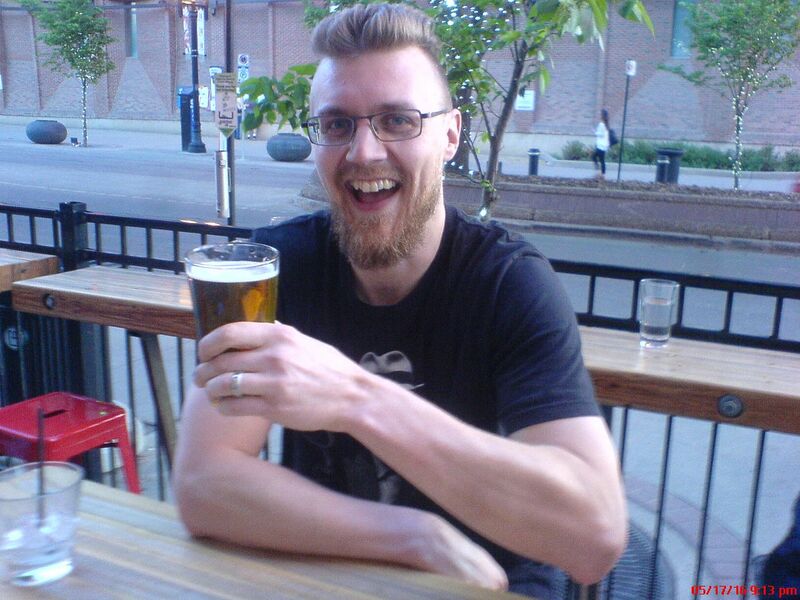 ^^^^ KC.. check out Blanchett Neon’s website. 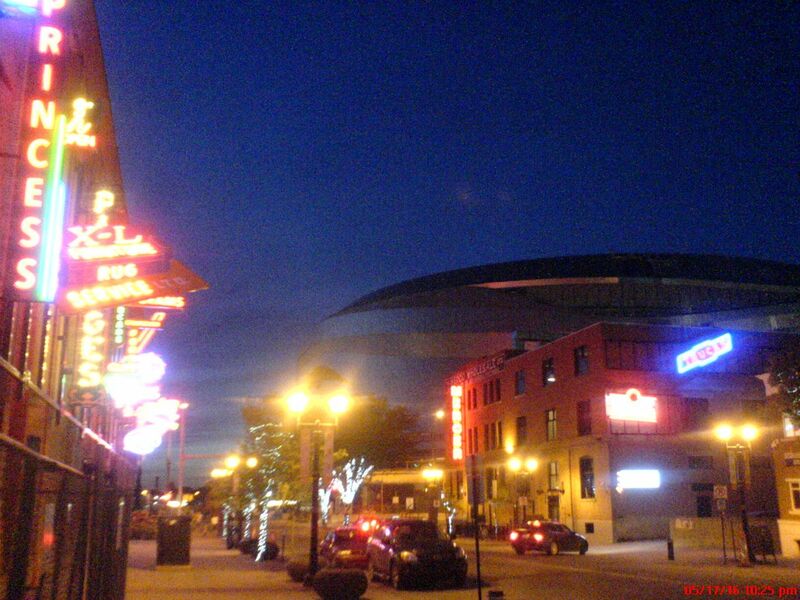 They have an interesting set of pics on some classic Edmonton neon signs. They also have a blog on a sign they are recreating for the museum as well. Telus sneaking in a little logo action against the Rogers back drop. Good on them for following the theme! Curious. What do they "from the sky" shots look like around Rogers during a hockey game on TV? Can you see a little bit of all these signs? 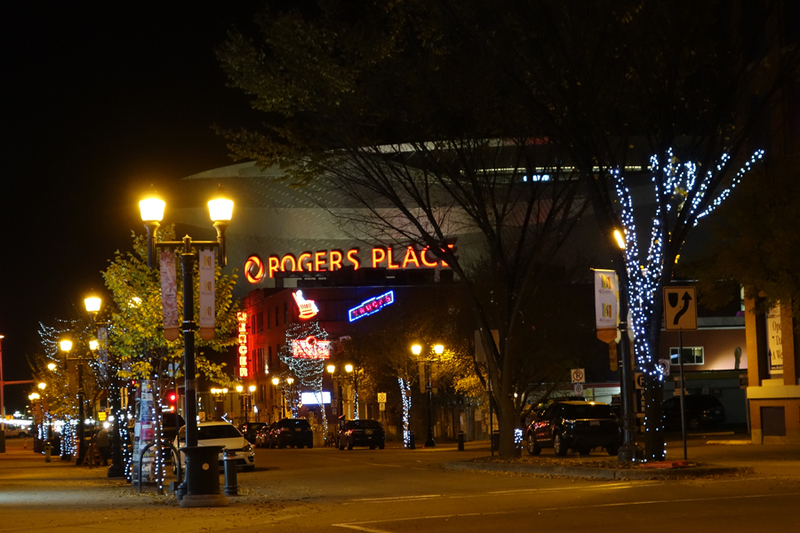 I noticed their nighttime shots of downtown facing west are before Rogers Place was even built. The ones from the northwest show the two towers under construction at about 8 and 10 floors high right now. Last edited by Drumbones; 30-11-2017 at 04:46 PM. ^Ya, it looks like their aerial shots for Sportsnet are about a year old. You can definitely see the glow of the neon lights from certain angles, but the money shot will continue to be from the NW looking towards Ice District. It's actually one from the Beverly location. About 4 foot long. Old skool 70's that hung under the canopy. The old Baccarat Casino neon sign should be donated to the museum. I had to dial back the brightness considerably to take this shot...it is alarmingly bright. This was definitely an 'oh me too' thing. I mean when telus formed, neon lights were so passe already. I'm glad this is by itself on the 104 avenue side and not on the 104th street side. Ultimately, it adds to the area, so I won't complain too much. This is a great looking street, a real attraction. Love the addition, dial it back Telus. Holy crap Telus, that's way too bright. If that's how the sign was originally, why should it be dialed back? Especially as judged from a photo that's only a very rough approximation of what it looks like from the street. There was no "original" sign. This is a modern faux reproduction so Telus can get some of their corporate branding mixed in with the Neon Not-Really-A-Museum-But-Still-Awesome. That sign is hilariously bright. Dimmable LEDs I hope! Blancette has a sign of their own ready to go. You can see it in their yard on ST Albert Trail. ^Blanchett recreated their 50’s era sign based on a black and white photo. Turned out really good. Anyone know what other signs are going up in the near term?? Last edited by KC; 04-05-2018 at 08:27 PM. Anyone know when the Kinniburgh Jewellers sign is going to be put up? That’s the only one I’m aware of that was still being refurbished. I wonder if this sign from 109 st was saved. Nice. Very unique attraction to our downtown. Such a wonderful addition to that area. 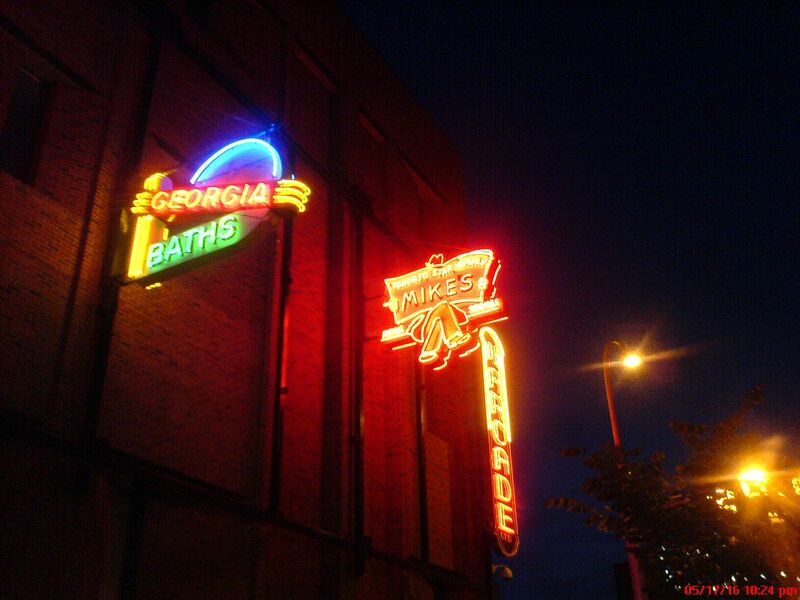 Any plans for new additions to the neon sign collection? ^They have a number of other signs, but this location is getting full. They are looking for another location dt. I'd be interested in seeing which other signs they have. Hopefully the old A & W from 109 st is among them. 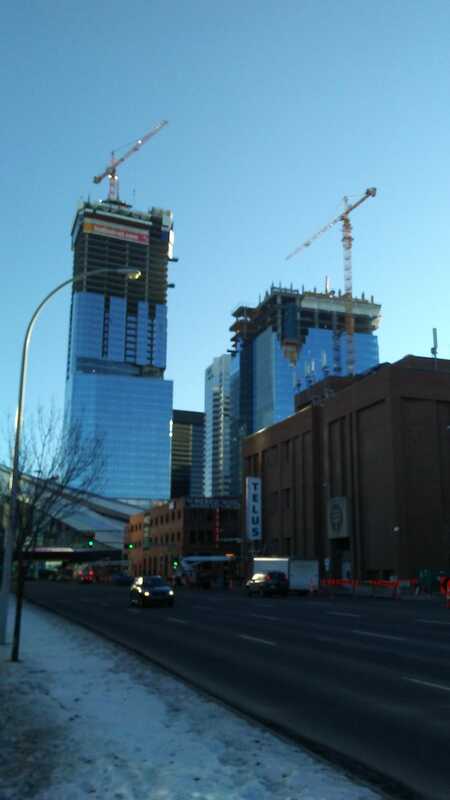 Maybe force Katz Group to put them up on its development as one of the conditions for the zoning application to have digital advertising on the Stantec Tower. 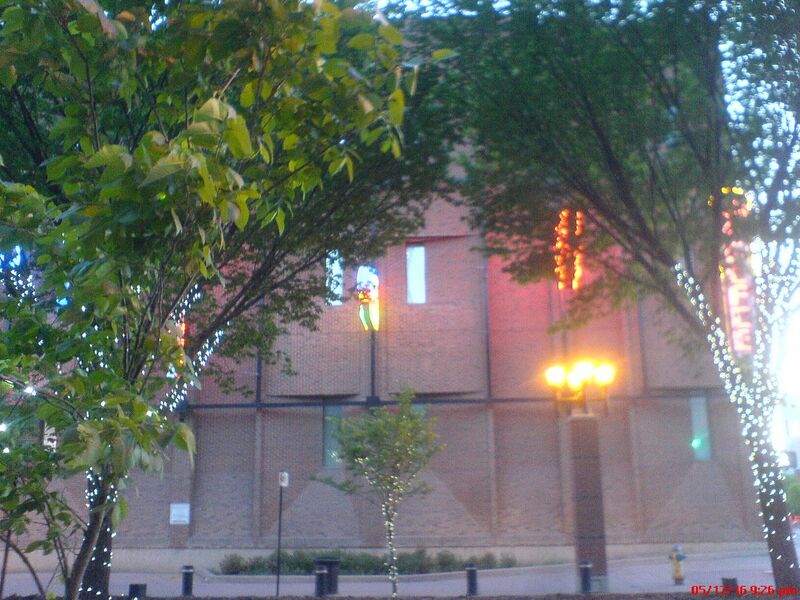 Maybe dress up the ugly open air parkades on City Centre Mall with some neon? Or have some of the new developments in the area utilize their blank walls for this purpose. ^Katz Group doesn't need the signs or help. They sure needed help with the arena, which they obviously could have afforded on their own. They also say they need help with the plaza which is 100% privately owned.